Which Food Dehydrator is Better, Excalibur or Nesco? 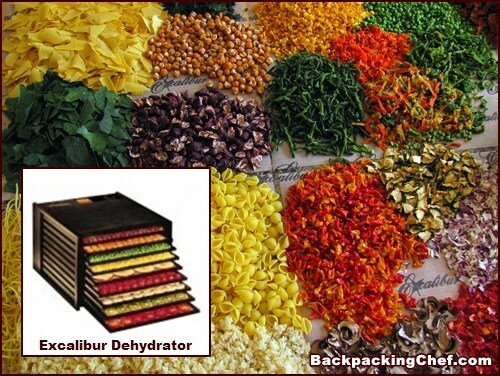 I dry a LOT of food with Excalibur Food Dehydrators. You will see them getting plenty of use in the photos on my food drying pages. What I like best about my Excalibur Dehydrators is that I can fit more food on the high-capacity trays. Excalibur trays are square with no hole in the middle. Most other dehydrator trays are round with holes in the middle. You lose 20% to 45% capacity to the holes and rounded corners. Two and a half pounds of mashed potatoes only take up three Excalibur trays. With my 5-tray Excalibur, I can dry two to three pounds of vegetables on the other two trays at the same time. Fruit takes up more space than vegetables, so my 9-tray Excalibur is ideal for dehydrating BIG quantities of fruit when it’s on sale. Juicy fruit takes longer to dry than meat and vegetables, so it’s more efficient to dry one big batch than to dry several smaller loads over several days with a low-capacity dehydrator. You will grow a beard waiting for bananas to dry if you buy a cheap food dehydrator without a fan. Some banana slices may dry like poker chips while others remain moist. Making bark or fruit leather is nearly impossible without a fan. Most dehydrators have a fan. Ronco dehydrators do not. Don’t waste your time and money on a Ronco Food Dehydrator. Different foods require different temperatures. Excalibur Dehydrators have a range of 105° F to 165° F. (40° to 74° C). Meat is dried at the high end while herbs are dried at the low end. Vegetables and fruits are dried in the 125° to 135° range. The low-priced Nesco FD-37 and FD-39 food dehydrators do not have adjustable thermostats. One temperature fits all is not a good strategy for drying food. This convenient feature available on Excalibur Food Dehydrators lets you put a load of food in the dehydrator and then go to bed or work. The dehydrator shuts itself off when you tell it to. Another use for a timer is to set the dehydrator to shut off before a food is all the way dry. I often do this when I want to flip bark or fruit leather over after it is about ¾ dry. Sometimes I also dry foods, such as broccoli and apples, at the same time. I set the timer to shut the dehydrator off when I expect the broccoli to be dry, and then turn it back on to finish the apples. Most dehydrators do not have a timer with automatic shut off. Drippings and crumbs can cause dehydrators with bottom-mounted heating elements to malfunction or fail. Care must be used when operating and cleaning a dehydrator with a bottom-mounted heater and fan. Heating element/fans are located at the back of Excalibur Dehydrators. Nesco Dehydrators heaters/fans are on top, except for the FD-1010 Gardenmaster Pro which heats and blows from the bottom. Excalibur Dehydrators provide 45% more drying capacity per tray than a Nesco FD-60 Snackmaster Dehydrator with 13½" round trays. 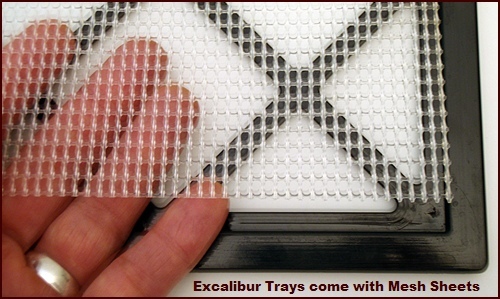 Excalibur Dehydrators include mesh sheets which are necessary for drying small vegetables like peas and corn. Mesh sheets are pliable, so they also make it easier to pop off fruits like bananas which tend to stick to plastic when dried. The Nesco tray structures have wide spaces so small items will fall through without mesh sheets. You have to purchase them separately for Nesco Dehydrators at $7 - $8 per set of two Clean-a-Sreens. A few models include one sample mesh sheet. If you don't use mesh sheets, sticky fruits will be hard to remove from the trays. 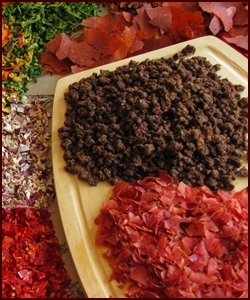 All dehydrators require the purchase of non-stick sheets or fruit leather trays if you want to dry blended food like mashed potatoes, tomato sauce, and fruit purees. Some models come with a sample. The Nesco leather sheets hold the least amount of blended food because of the donut shape. Excalibur non-stick sheets are called Paraflexx sheets. Non-stick sheets are reusable and work better than parchment paper. Never use wax paper. It melts. Spreading liquefied food is easy with the square Excalibur trays because there are no holes in the middle or outer edges to get in the way of my spatula. The third photo shows me peeling the Paraflexx sheet off sweet potato bark which I flipped over to finish drying. Extra stacking trays can be purchased to increase the capacity of Nesco Food Dehydrators for approximately $20 - $25 per set of two. Adding too many extra trays may affect the drying consistency of the unit. Temperatures may be higher at the top than at the bottom. Excalibur Food Dehydrators have fixed capacities of 4, 5, or 9 trays. You would have to order eight extra trays at a cost of $100 from Nesco to bring the 4-tray Gardenmaster up to the capacity of the 9-tray Excalibur plus you would need about $50 worth of mesh sheets. Nesco dehydrators have stacking trays so when you want to peek in on a tray you have to lift off the trays above it. Excalibur trays slide in and out of the box which makes it very easy to check on food and rotate trays. Rotating trays occasionally helps food dry uniformly and is also beneficial when making bark or fruit leather since air circulation through the food is reduced by the non-stick sheets. My Excalibur 9-tray and 5-tray food dehydrators with timers have worked exceptionally well for me. 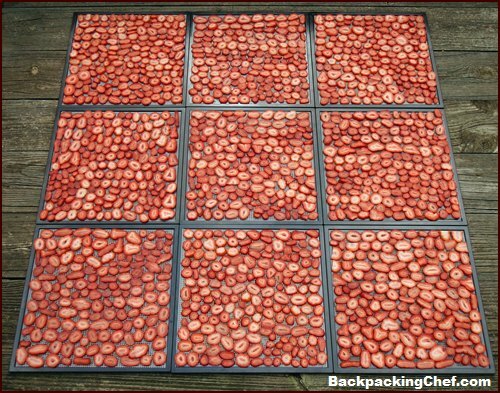 I have dried hundreds of backpacking meals and a steady supply of fruits and vegetables with them. I use one in America and the other in Switzerland. Excalibur has expanded their line of dehydrators in recent years to include clear doors, more colors besides black and white, stainless steel models, and dehydrators with digital timers. Excalibur Dehydrators are made in the USA and come with a 10-year warranty and free shipping when you buy direct. Disclosure: I may receive a commission if you make a purchase after following the above link to Excalibur. It doesn't affect the price you pay. The secret to dehydrating ground beef, dehydrating ham, shrimp, tuna, crab.